Last year, Mary was approached and asked to produce a couple of new images for Mothering Sunday. 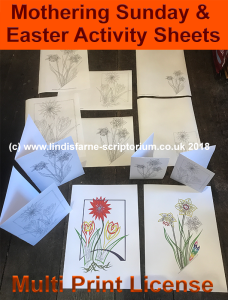 She produced two new images which could be used as Mothering Sunday activities or Easter or even spring activities that we have included in this package in four forms. 1 - An A4 colouring activity sheet of each image. 2 - An A5 folded card activity sheet (print on a4 paper, colour in and fold in half) of each image. 3 - An A6 folded card activity sheet (print on a4 paper, colour in and fold in half and in half again) of each image. 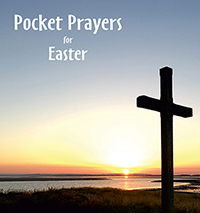 4 - JPG digital images for you to put into your own design so you could produce cards with Happy Mothers Day or Happy Easter and include your church or organisations details. Colouring in isn't just for Children, we have had many adults comment on our colouring packages including one who said: "They are quiet contemplation, meditatively complex, colouring with focus that leads into enjoyment and prayerful mindfulness. Creativity with heart and depth. 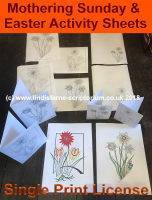 [Lindisfarne Scriptorium's] colouring books are for me a prayer focus and stress release in one." We have been told about our images being used in Prisons, in Colleges, in Mission, in Retreats as well as in Church's, Schools, Sunday Clubs, and Day Centers. Please note... This product is for a Zip archive, containing a PDF and JPG images, by email/download containing print masters for printing the images up to A4 size. It comes with a license to produce as many copies of the activity sheets as you wish.